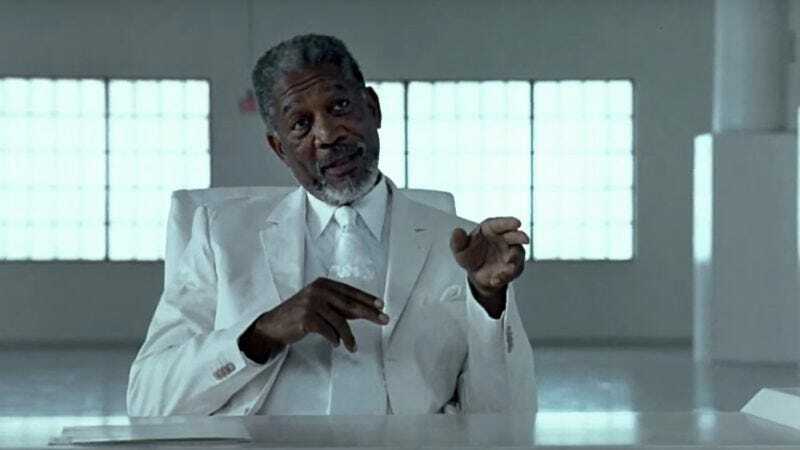 The world may or may not be ready for another installment in the Bruce Almighty saga, but Morgan Freeman seems prepared to step back into the role of God if a sequel to the 2003 hit comedy were to suddenly materialize. “I think I would have to if they did it,” the 78-year-old actor told /Film in an interview after a recent appearance on The Late Late Show with James Corden. “If Jim Carrey plays his character, and if I was called on, I would feel obligated.” That might not sound like the most enthusiastic response, but you have to remember that the Lord generally holds his cards close to the vest. Freeman already returned to the role of Supreme Architect Of The Universe for 2007’s sort-of-sequel Evan Almighty, in which Steve Carell’s supporting character graduated to protagonist after the sequel-wary Carrey decided to reject cinematic omnipotence and sit the second film out. But a proper Bruce Almighty 2, supposedly featuring Carrey back in the lead, has been in some sort of development at Universal since at least 2012. Whether it will ultimately manifest itself as a greenlit feature remains to be seen.